T4security provide precisely what you need; peace of mind, discussions and advice in plain English, an agreed installation plan, hassle free installation, full configuration, complete set-up of internet access/monitoring, configuration of mobile phone and regular maintenance. All this for a fixed fee and no surprises. 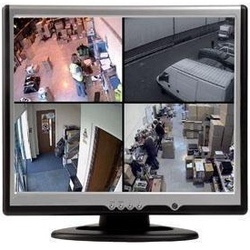 Our cameras and systems can detect movement and alert you remotely (e.g. send photos/video by email). Internal covert camera can keep a close watch on your infant/nursery and items of value. Or just make sure there are no house parties in your absence! All our systems can be set to allow monitoring over the internet and via mobile phones (Apple, Blackberry, Symbian, Android etc...). T4security design, install and maintain intruder alarm installations to British Standard BS4737, using the latest wireless products to provide an alarm system that precisely meets your needs, without trailing unsightly wires in your home or business premises. During our free no obligation survey we will explain all aspects of the alarm system proposed, show you the equipment and sometimes demonstrate its use. The risk of loss through criminality has steadily increased to the extent that electronic intruder detection systems are now widely accepted as essential to protect our property and loved ones. Whether you want to start small with the basics and add more functionality over years/months or whether as a landlord you want to start with; heat, smoke, and CO2 detection as well as an alarm partitioned for multiple flats and a communal area, we have a solution for you. Do you want to better protect your loved ones and possessions? Contact us now. © June 2013 T4 Local Security and Surveillance.